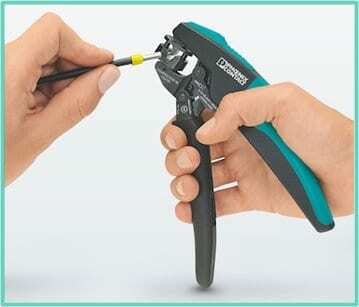 Wire crimping tools are essential tools used to make two different pieces of metal properly ‘click’ with each other. In some cases, wire crimping could be an extremely useful ability, but too many people underestimate the influence of such a skill. In fact, not too many people know how to crimp metal by themselves. Crimping is a type of solderless connection, which works well in electrical terminals. Stranded wire is often terminated using crimping methods, and this skill is not well-known in the ‘do it yourself’ circles. Not too many home technicians know how to crimp wire, and this is exactly why we’ve decided to make a tutorial to teach you how to properly use a wire crimping tool. The process is not too complicated, but you do need to be careful or you could end up hurting yourself while crimping metal. Remember that working with these tools is extremely delicate, and we encourage you to take a ‘kept back’ approach when doing so. You’ll need to purchase a couple of appropriate crimp terminals before getting started. You’ll also need a small heatshrink (depending on the size of your terminals) and a piece of stranded wire capable of withstanding the whole procedure. 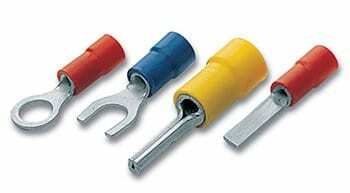 Each of these tools should be relative to the size of the crimp you want to partake. You don’t need to get a large piece of wire if you intend to work with a small terminal. In any case, be sure to get pieces suited to the process you’ll be developing. 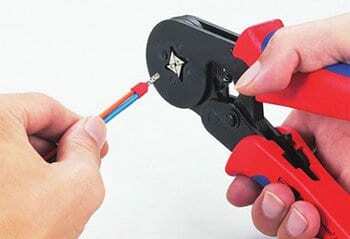 We strongly suggest you buy a pair of wire strippers to be ensure that you’ll be able to connect wire without any sort of issues. You will also need a crimping tool, of course, otherwise we’d be missing the whole point of this process. Select adequate wiring as well as proper terminals. If you still haven’t purchased the wire, pay a visit to your local hardware store and ask for a wire with as many strands as they have available there. If you’re new to crimping, we suggest you ask a local expert for their opinion on which type of wire suits you best. Most newcomers tend to struggle selecting the wire, but hardware store experts usually have no trouble assisting you on your selection. Don’t be afraid to ask! Select a proper terminal and material type, depending on the use you’ll be giving to your crimping wire. There are many common types of wires that suit many situations, but again, we encourage you to ask your local technician if you aren’t sure on what to choose. Make sure the tool you select is well-suited to the type of wire you’re using. Most tools are designed to work well under a specific size of wire. You’ll need to understand these measurements before buying the tool. Commonly, you’ll be working with a crimp that isn’t previously insulated. We recommend you select a proper piece of sleeving and apply it onto the wire. Do NOT do a lot of crimps at once unless you know what you’re doing. If this is your first time crimping a wire, be sure to test each one as you go on with the process. When crimping the wire, try not to damage the conductive parts of it. You could cause permanent and irreparable damage to the wire. If you’ve properly gripped the insulation, the wire should work as if it wasn’t even submitted to a crimping process. In some cases, though, you might want to crimp the terminals twice. This is a requirement on lower-end wires, as they aren’t of the same quality as other wires. It ensures the wire to operate to a high-quality standard, albeit the process might seem tedious at first glance. If done correctly, though, the wiring quality will not be diminished – au contraire, it’ll work better than ever!